"Fantastic place, great energy and great doctor. You should definitely come here." "Definitely a must for anyone who wants to sleep better, look better, and be better!" 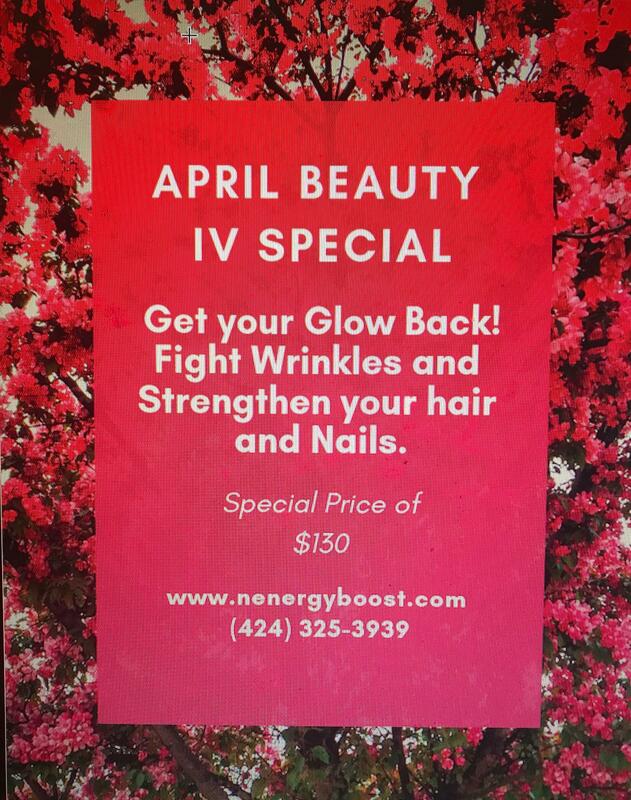 Come in today and purchase any 3 IV package to receive 20% off (mobile/onsite)! 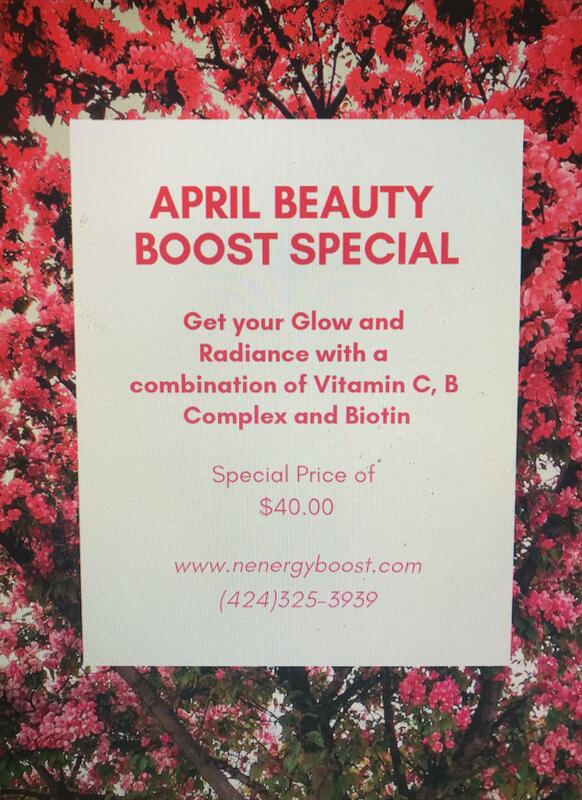 Nenergy Boost is a pioneering anti-aging medicine and wellness clinic taking a holistic and personalized approach to health care with two locations in Brentwood and West Hollywood, Los Angeles. The overarching goal is to help men and women in the surrounding communities address cosmetic concerns, improve quality of life, and achieve optimal health. 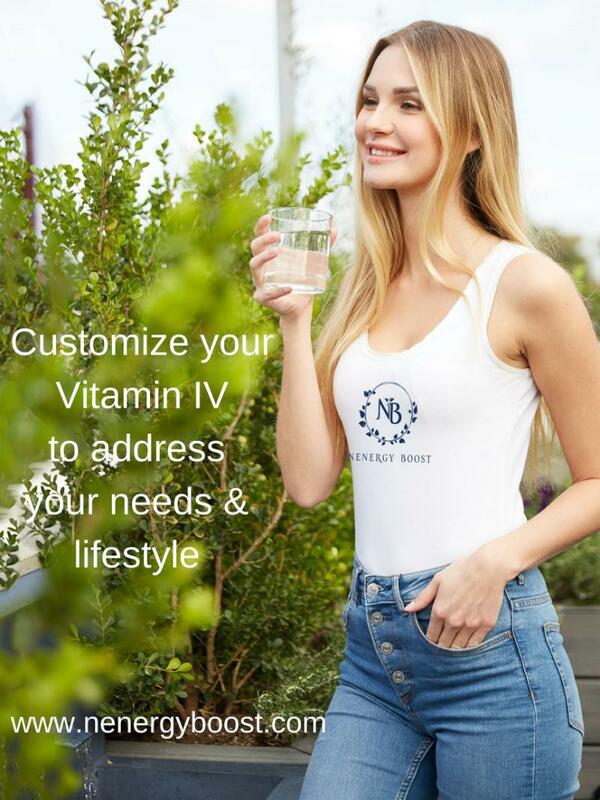 Nenergy Boost offers a range of effective services, such as bioidentical hormone replacement therapy, oxidative therapy, customized weight-loss support, convenient vitamin boosts, and IV therapy. The IV formulations contain high-quality ingredients from one of the most respected compounding pharmacies. The formulations are developed and customized in the office on arrival to suit individual needs and mood on that specific day. Nenergy Boost carries exclusive CBD oil and an original and unique line of strategically sourced and formulated vitamins and powdered energy drinks. With a mobile IV and VIP room in the comfortable West Hollywood office, Nenergy Boost puts patient experience and convenience at the forefront. Nenergy Boost offers more natural remedies and solutions for stress and fatigue, women’s and men’s health, eye health, and more. The Nenergy team aims to regulate hormones; restore vitamin and nutrient deficiencies; relieve pain; prevent, minimize, and treat certain signs of aging; and improve various problems, such as memory, mood, hair loss, lack of energy, and macular degeneration. The Nenergy Boost clinic provides a serene environment for relaxation, energizing, and receiving quality medical care with a unique and personal touch. The skilled medical professionals work diligently and collaboratively to uncover the root cause of health concerns and devise appropriate treatment plans based on proven-successful treatment methods. 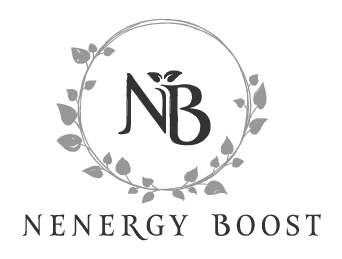 Nenergy Boost was named from the term “new energy” and was founded by Askil Ghozland, MD, a conscientious and experienced physician, and anti-aging expert, who’s been practicing medicine for almost five decades. The Nenergy Boost team maintains that all patients are not just a number in a system, but fellow human beings who deserve time, attention, respect, and valuable health care. Call or schedule your personal consultation online. New patients are always welcome. "Not only does he offer real physician analysis but I’m also getting top notch vitamins as well. Two birds with one stone!" "Love it here, awesome place, amazing staff and fabulous work." "I love this place!!! Thank you Dr. G."
E-mail us for your coupon code now!